The hundreds of faux chateaux being built for wealthy Gulf investors in Turkey’s northern Bolu province were to have been fit for royals. That is, until the project went bust. Builder Sarot Group was slapped with a definitely unregal court-ordered bankruptcy ruling over the Burj Al Babas complex’s US$27 million debt, Hurriyet newspaper reported Sunday. 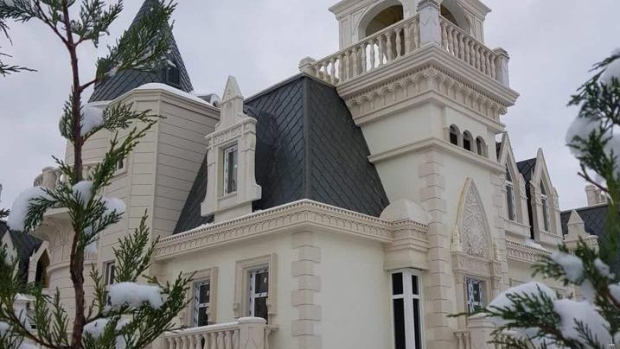 The project deep in the province’s picturesque mountains was to include 732 chateau-style villas, swimming pools, Turkish baths, health and beauty centers, a shopping center and a mosque, according to its website. Customers from Qatar, Bahrain, Kuwait, United Arab Emirates and Saudi Arabia snapped up 350 of the villas, according to Hurriyet, at a going rate of US$370,000 to US$530,000. They specifically asked for the chateau-like design, according to the project’s consulting architect, Naci Yoruk. Sarot Group Chairman Mehmet Emin Yerdelen blamed his predicament on deadbeat clients. The group finished building 587 villas before it applied for bankruptcy protection. Although the court ordered the group to stop construction immediately, Yerdelen is still hopeful.